We were ready to go by buses to Quito airport at 7:30AM. But there was an ' unexpected ' marathon in Quito. Much of the city was blocked off, so the buses could not get in to the hotel - we were over an hour late when we arrived at Quito Airport. Luckily it was a plane chartered specifically for this cruise, and the plane had to wait, and with no luggage to check in (see end of previous post) we went straight through security check for the Xpedition charter flights bound for Baltra in the Galapagos Islands, a flight of 2 hours. The aircraft was a new Airbus A320 form AeroGal (Aerolíneas Galápagos), with 'Celebrity Xpedition' branding and logos on everything, from the bulkheads, plates, beverage cups, table cloths. The service at the 'Xpedition flight' was extraordinary good. See video from the flight. We arrived to the airport, went through immigration and after a short bus ride from the airport to the harbor and then a Panga ride (Zodiac rubber raft), we were aboard the Celebrity Xpedition. 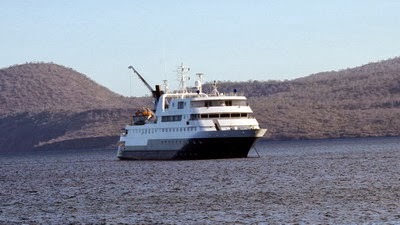 The luggage was delivered directly to our cabin, which gave us the opportunity to explore the Celebrity Xpedition, a 296-foot mega yacht, which was our home on the 7 night tour around the Galapagos Islands. We did have cabin 419 on deck 4 - there are a total of 3 decks with 46 cabins . The cabin is about 15 m2 and we have to do without a balcony on this cruise . With it's also limited in how much time will want to spend in your cabin . Baltra is a small island of only 27 square kilometers. The highest point is only 100 meters. It is one of the central islands of the Galapagos and is located just north of Santa Cruz and south of Mosquera and North Seymour . During World War II , served Baltra as a U.S. military base protecting the Panama Canal from enemy attack. 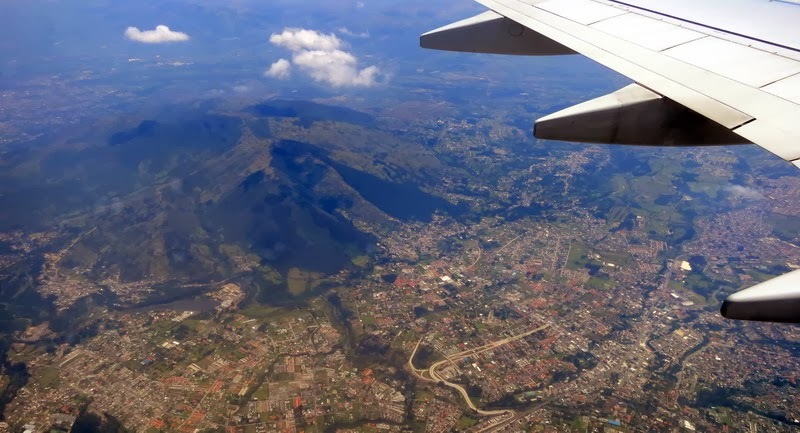 Now Baltra a ' cactus- strewn ' landscapes and home to the region 's main airport . Dry and flat, Baltra is ideal for military base and airport , but lacks other kinds of attractions for visitors. Baltra is not currently within the boundaries of the Galapagos National Park.